Freeze +P hand held chemical agents utilize unique combination irritant blends. 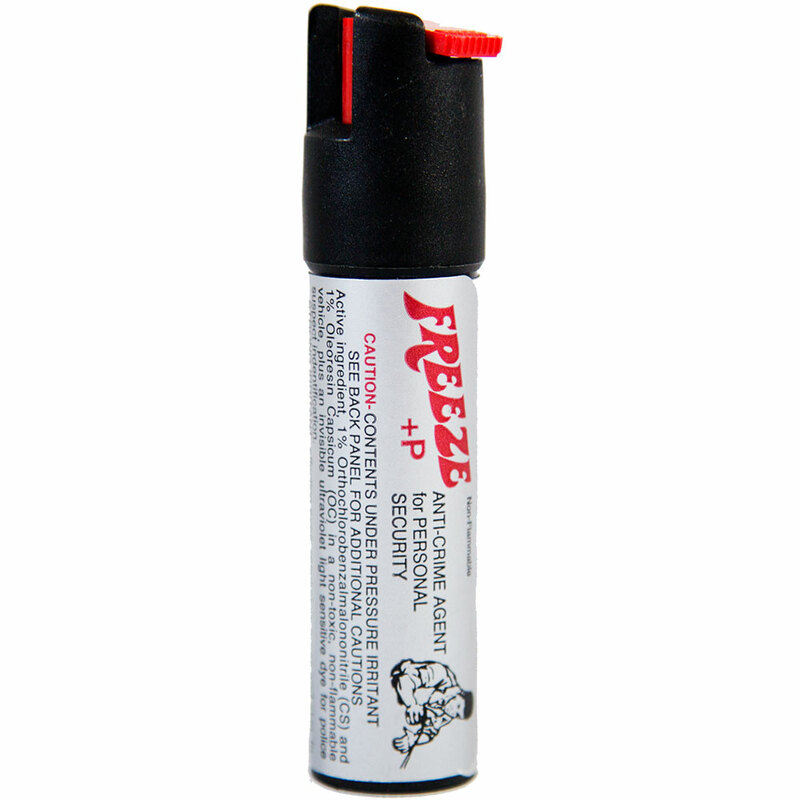 Extremely effective Orthochlorobenzalmalononitrile (CS - Military Strength Teargas) formula FREEZE combined with Oleoresin Capsicum (OC) in a coherent stream solvent system create the most intense incapacitating agent available today. The synergistic characteristics CS/OC combination agents to out perform either material alone have been demonstrated in the CLEAR OUT system for many years. With the vapor system of CLEAR OUT, the primary entry point of the inflammatory irritant is inhalation. The strong respiratory effects of OC combined with the severe pain induced by CS magnify each other. Through field evaluation tests by police agencies this has been found to be also true of the CS/OC when delivered topically, through the skin, in the hand held sprays. Contents: FREEZE +P is a mixture of 1% CS and 1% OC. Both are a blend of industrial non-toxic solvents capable of holding a stream yet rapid evaporation on the target. Formulated to penetrate a wet or greased face taking the active ingredient to the nerve endings for maximum effect. Please Note: We do not ship self defense sprays to the following regions due to legal restrictions: Hawaii, New York, Massachusetts, Michigan, Wisconsin, Washington DC or anywhere outside the United States. You must be 18 years of age to purchase.